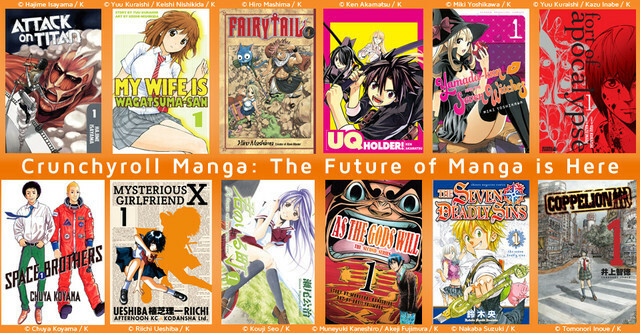 Crunchyroll’s new manga service just went live today. Anyone with a Crunchyroll All-Access membership will be able to access their entire library of titles, while Anime and Drama members can access only the most recent chapter releases. Anyone can sign up for a Manga membership for $4.95 a month. New manga chapters will be added the same day they premiere in Japan, meaning this is the most expedient legal way to keep up with the latest manga as of right now. Publishers have been branching out into digital manga distribution for a while now, but this is the first service that I know of that works through a sort of “streaming model” like this. Those who sign up for the service will have access to several different manga series, but they won’t be able to download and keep any for themselves at home. It seems like a great method for testing out different manga and keeping up with the newest releases, but not so great for avid collectors. Either way, I’m excited about this service! I don’t have the All-Access membership, so I won’t be able to see the full extent of Crunchyroll’s manga selection for myself. So far though, it looks like they are offering a varied selection of titles and have more planned for the future, so this is definitely something to keep an eye on. You can check out the service yourself on their website or through an iOS/Android app. It’s what spinoffs around the world dream of becoming: their own full-fledged series, untethered by the bonds of their parents… or something like that. Poetic wondering aside, the facts are that the Blue Exorcist spinoff manga Salaryman Exorcist is getting its own series in Jump Square magazine. It started out as a single gag manga by Minoru Sasaki, created under the supervision of Blue Exorcist‘s creator Kazue Kato. It will now become a reoccurring series in the monthly manga magazine starting this October. Salaryman Exorcist features the brother of Blue Exorcist‘s protagonist as the main character. Yukio is a straight-laced, hard-working sort of a guy; especially when compared to his irresponsible and energetic brother Rin. The new manga follows Yukio’s everyday life as he deals with the stresses that come along with being the responsible younger brother. 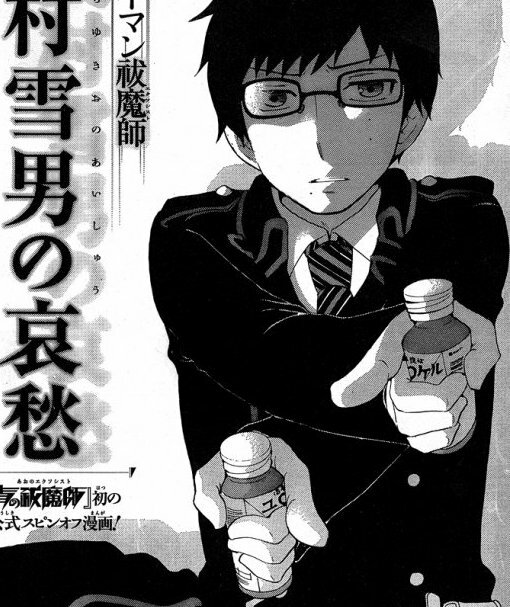 The manga’s full title is Salaryman Exorcist: The Sorrow of Yukio Okumura. Owch. Good luck Yukio, you’re going to need it. Blue Exorcist fans in the US, don’t forget that the movie is coming out in theaters soon! Rightstuf has kicked off another manga sale this week. Their stock of books, novels, and other offerings from Yen Press will be marked at least 33% off until August 15th. Notable offerings from Yen Press include several different Madoka Magica manga series, Durarara! !, and Black Butler. Check out the full list of items on sale right here. Since manga publishing giant Tokyopop went under, many Hetalia fans were certain that their chances of getting official translated volumes of Hidekaz Himaruya‘s popular series went down with it. But like any good anime protagonist when faced with certain demise, Hetalia somehow managed to hang in there by a thread. Tokyopop and Rightstuf have set up a print-on-demand service for the first three volumes of the manga. And now, volumes four and five are being added to the lineup. They will be available for purchase through Rightstuf this winter. 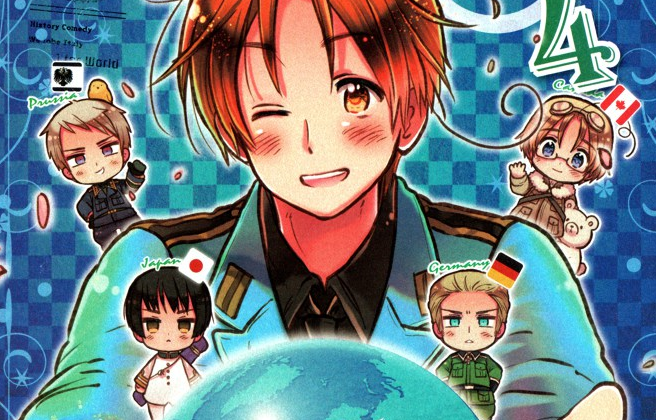 Hetalia fans, are you excited? I know I am. It’s great to see companies working out new methods to keep series out on the market. Now if only Tokyopop could do the same with so many of their other series that were dropped and lost forever… this author would love to see Gensomaden Saiyuki make a comeback. Just sayin’. You can buy Hetalia volumes one, two, and three right now over at Rightstuf. So yeah, Rightstuf is awesome most of the year anyway. But what’s so special right now? 12+ DAYS OF SALES, THAT’S WHAT. Tomorrow is the last day new sale items will be revealed, but the prices will remain discounted until December 14th. Some of the savings go up to 80%. Whether you’re shopping for yourself or for someone else, this is a great time to do some online ordering. Be sure to backtrack through the previous days’ sales too! There’s plenty to look at. I for one will be making some purchases for myself (as I’ve already finished the majority of my shopping for everyone else). Merry Christmas to me!